Most of the time in my job I work long hours at sea but one of the perks is that every so often you hit shore and get an evening or two to explore. Recently I had a few hours in Gibraltar and caught this sweet Guzzi filling up. 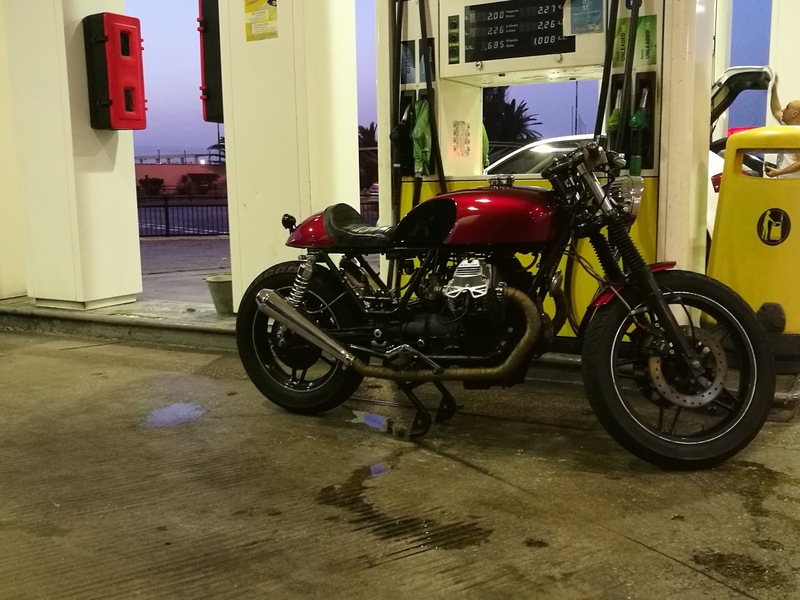 A perfect cafe racer, it followed a time honoured formula of stripped down simplicity, looked the part, sounded great and best of all was out being used and bringing its owner happiness.